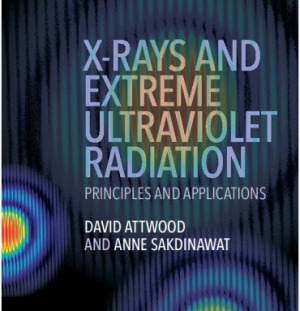 In this course, Professor David Attwood gives 28 video lectures on Soft X-rays and Extreme Ultraviolet Radiation. Some of the topics covered in these video lectures are: Basic Absorption and Emission Processes; Scattering, Diffraction, and Refraction of Electromagnetic Radiation; Maxwell's Equations and the Wave Equation; Scattering by a Free Electron, Bound Electrons and Multi-Electron Atom; Brewster's Angle; Transition from Undulator to Wiggler Radiation; Hot Dense Plasmas and Synchrotron Radiation, Wiggler Power and Flux; Density Gradients, UV and EUV Probing; High Harmonic Generation with Femtosecond Laser Pulses; Recombination Lasing with Hydrogen-Like Carbon Ions; Collisionally Pumped Neon-Like Lasers; Coherence at Short Wavelengths; Spatial and Spectral Filtering of Undulator Radiation; X-Ray Microscopy with Diffractive Optics; Diffraction of Radiation by Pinhole Apertures and Zone Plates; High Resolution Soft X-Ray Microscopy; X-Ray Proximity Lithography, and many more. zino wrote 8 years ago.